Just about an hour south of Ten Trails, families in this new, master-planned community can spend time exploring Northwest Trek, one of the area’s most unique attractions. 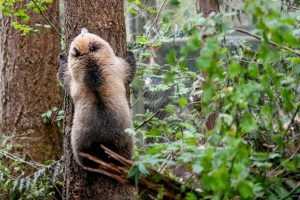 Dedicated to conservation and education, the park offers guided tram tours through natural habitats for rescued animals who are native to the northwest. Hop aboard one of Northwest Trek’s trams for a ride through their wildlife habitats. Through 435 acres of meadows and forests, guests can view moose, bison and elk in their free-roaming area. 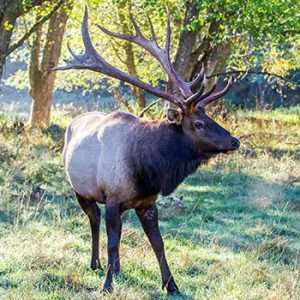 This fall, take a tour to see the elk during mating season on their elk bugling tours. A paved path through the forest reveals natural habitats for bears, wolves, cougars, birds. There are even pools to observe beavers and otters busy at work, or resting in their dens. Daily from 11:30 am to 1:30 pm, the park hosts “Keeper Chats” where visitors can talk with the animal keeper about the animal’s behavior, habitat and more! The park has a hands-on Discovery Center that is perfect for younger kids to learn about native species! At the Cheney Discovery Center, kids can get up close and personal with animals and experience exhibits that teach about conservation and preservation of the region’s precious wildlife and wildlife habitats. 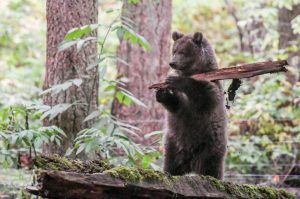 Just as new families are constantly moving in to Ten Trails, Northwest Trek also has new residents being added on a regular basis, including two new grizzly bear cubs! Just under a year old, Northwest Trek’s new Grizzly Bear cubs, Hawthorne and Huckleberry, are ready to make their grand debut to the public this fall! These two rescued orphans can be seen everyday but only during set times so they are sure to get their much-needed rest. Hawthorne can be viewed daily from 9:30 to 11:30 am, and Huckleberry from 1 to 3pm.